Having boosts in energy and bouts of hyperactivity are much different than a real case of Attention Deficit Disorder (ADD) or Attention Deficit Hyperactivity Disorder (ADHD). ADD can be identified by a continuous pattern of marked inattention, with ADHD possibly blending the inattention with impulsive-hyperactivity. These disorders will affect the sufferer’s ability to function on a daily basis. ADHD is the currently accepted medical term for both disorders, with the change occurring in 1994. So while those with ADD do not have the hyperactivity of those dealing with ADHD, ADD is considered by some medical professionals to be an ADHD subtype. The root cause behind ADHD is still unknown. The current prevalent thought is that there is a genetic component that changes the brain’s make-up; however, it could also be caused by chemicals ingested while the mother was pregnant. Environmental toxins and brain injuries have also been looked at for links to ADHD. Inattentive ADHD – Identified by a teen’s marked inattention and inability to complete tasks. Hyperactive-impulsive ADHD – Identified by a teen’s overactive behavior and impulsive actions. 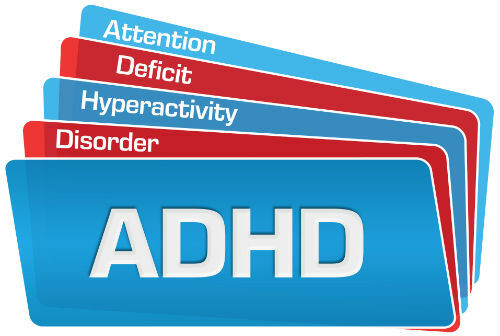 Combined ADHD – Identified by the combination of inattention, impulsivity, and hyperactivity. ADD/ADHD cannot be cured but can be treated with medication and cognitive therapy. HOW COMMON IS ADD/ADHD AMONG TEENS & KIDS? There are around 2 million teenagers who have ADD/ADHD. Teenage boys have 2-3 time the rate of ADD/ADHD diagnosis, with non-Hispanic Caucasian boys having the highest rate. Males and females display ADD/ADHD symptoms differently. Males tend to be more impulsive, prone to physical aggression and hyperactive displays of jumping and running around. Females tend to struggle with anxiety, low-self esteem and be aggressive verbally. Comorbidity, or the existence of multiple disorders, are also common for teens who have ADHD. Most commonly found is Oppositional Defiance Disorder (ODD), found in 41 percent of those dealing with ADHD, with clinical anxiety presenting in as much as 40 percent of cases. Teenagers struggling with their ADHD can be at increased danger of substance abuse. It has been found that 12-14 percent of teenagers will likely abuse substances while still adolescents. Teach yourself more about ADHD with the help of books, local support group, professionals, and online forums. The better you understand the disorder, the more capable you will be in helping your teen deal with their ADHD. Aside from gaining insight, join in with a support group (in-person or online) so you can receive emotional and mental support. These other will have been through/currently having similar struggles and you will feel less isolated. Get your teen professional aid in the form of an ADHD-specific therapist, doctor, or residential treatment program. WHAT DO ADD & ADHD LOOK LIKE? WHAT DO ADD & ADHD FEEL LIKE? Participate in behavioral therapy so that coping methods are developed and negative behaviors eliminated. Join after-school activities to help teens build new relationships and work on their socialization skills. This will also help them burn off energy while gaining new experiences. Control the intake of snack food and stick to set meal schedule to eliminate sugar rushes and crashes. Set a routine and work on maintaining it with reminders (either as notes or lists). The better organized the teen is, the easier it will be for them to stay on track and not let their ADHD distract them. Take your teenager to therapy sessions. Find training for yourself on ADHD to better help your teen deal with inappropriate behaviors. Talk to your teen about the consequences of their poor behavior and stick to the punishments you set. By doing this, you can reinforce the idea of which behaviors are appropriate and which are not. Praise good behaviors to help rebuild self-esteem. Teach them how to recognize social cues and develop other social skills. Encourage their participation in extracurricular activities. Help create structure for your teen by making an overall daily routine that the whole family follows: meals, bedtimes, etc. Work with your teen on setting up their personal reminders. Sometimes you need a helping hand, especially if your son lashes out aggressively as part of his struggle with ADD/ADHD. When you need that help, Sundance Canyon Academy is here for you and your son. We provide individual care for each of our residents, with an introductory evaluation and a personalized treatment program designed to help him gain better control of himself. This plan is continually updated throughout your son’s time with us, so you can be sure that as he improves he will receive new challenges to keep that advancement going. At Sundance Canyon Academy, we also put a strong emphasis on academics. We understand that many children with ADD/ADHD have struggled to maintain their grades and focus on assignments. With our nationally accredited classes and excellent licensed instructors, we will help your son get back on track and on the path to academic success. For lasting success, your involvement is key, so we promote weekly contact between son and parents. For local families, there are off-campus visitation options, or for those who are too far away, we offer top-of-the-line video conference technology. So if you feel like your son may be a good candidate for our services, feel free contact us and start helping your son see a future that his ADD/ADHD may be blocking.